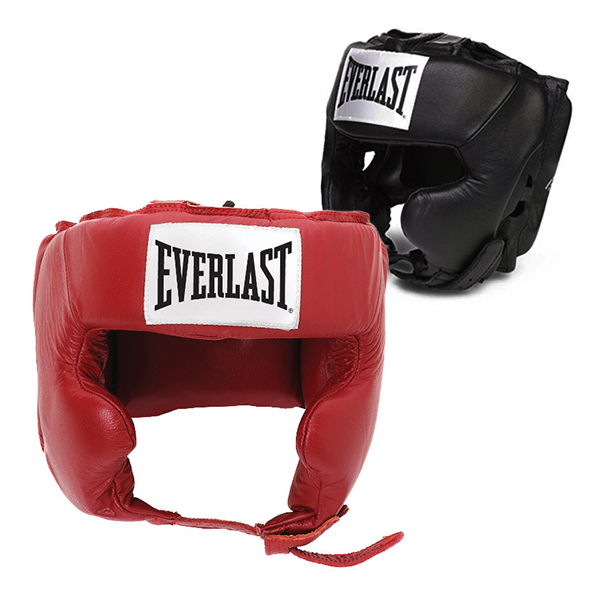 The Everlast head guard Pro Traditional protects the head from punches while doing boxing workouts. The head guard of optimal shock absorption is of high-quality workmanship and is made of finest leather. The adjustment to different head sizes is done by fasteners on chin and back of the head. The Everlast head guard Pro Traditional is equipped with a cheek protection as well.